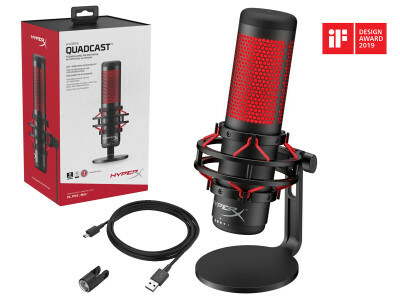 HyperX, the gaming division of Kingston Technology Company, and brand leader in gaming and esports, announced the release of its HyperX QuadCast microphone for streaming and audio recording. 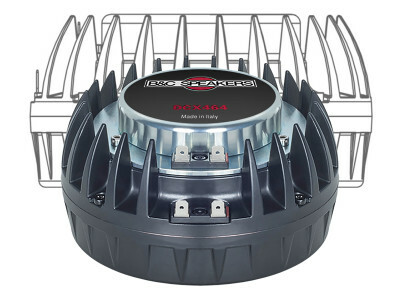 First unveiled at CES 2019, HyperX QuadCast features a built-in anti-vibration shock mount and offers four polar pattern choices, gain control, a built-in pop filter, and a tap-to-mute feature that indicates the mute status by turning off the red LED lighting. 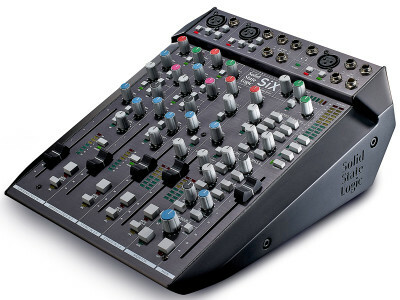 Solid State Logic surprised us with the launch of SiX, a compact, desktop-friendly audio mixer that will appeal to a broad market of project studios and post-production suites. 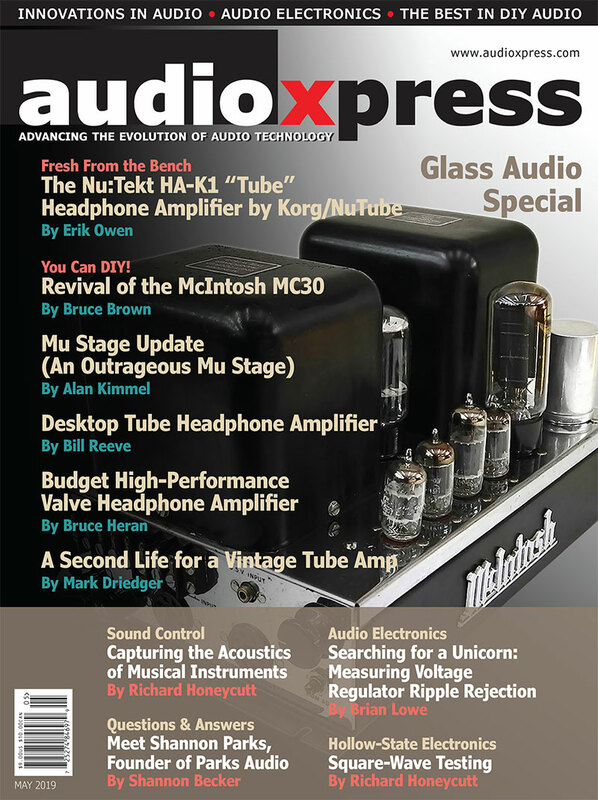 Even in its compact form, SiX is a classic SSL design, with a carefully considered feature set that the Oxford-based company says is "driven by an obsessive desire for total flexibility, to encompass every creative eventuality," and carries "the DNA of 40 years of true expertise in creative studio workflow." 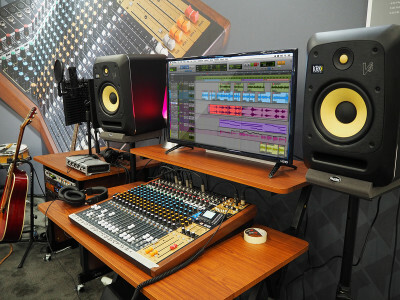 The market for pro audio products in professional and home studio applications posted global revenues of more than US$1.2 billion for 2018, an increase of over 6%, according to the industry report. 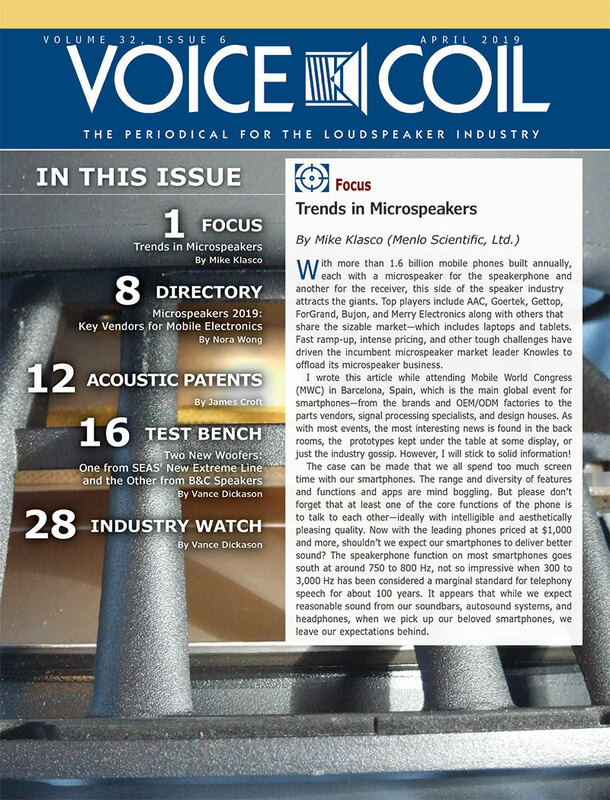 Covering mixers, microphones, audio interfaces, studio monitors and professional headphones, the report is the first of its kind, and describes continued growth in volume and value out to 2023, at a CAGR of 9.7% and 6.5% respectively. Among the cool microphone products recently introduced to the market, Samson introduced the Samson Satellite USB/iOS Broadcast Microphone, offering content creators a portable and effective solution for capturing high-resolution audio on desktop or mobile devices. With 24-bit/96kHz recording capabilities, three selectable pickup patterns, a patented fold-back leg design and zero-latency direct monitoring, the Samson Satellite is a perfect fit for musicians, podcasters and streamers looking for broadcast-quality audio. 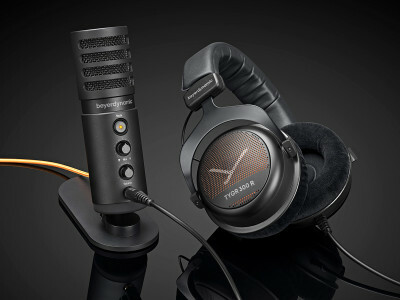 Scheduled for a CES 2019 debut, beyerdynamic has paired its TYGR 300 R Headphone with the FOX Studio Microphone for a gaming bundle that could also be a great setup for Skype communications and even podcasting. As a leading manufacturer of headphones, microphones and conferencing products, the new TEAM TYGR bundle creates a great combination of a high-quality headphone model with adjustable yokes and a spring steel headband to adapt to any head size, together with a professional-quality USB studio microphone. 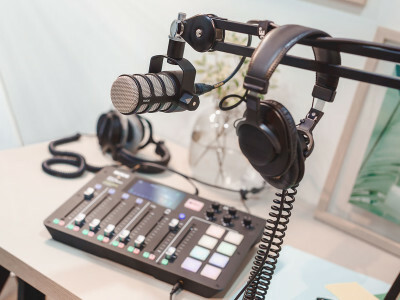 Røde Microphones has launched the all-new PodMic, an XLR-connected, end-address dynamic microphone tailor-made for use with its RØDECaster Pro Podcast Production Studio and PSA1 studio arm. Stylish and easy to manoeuvre, the PodMic is a broadcast-grade dynamic microphone designed for podcast applications. 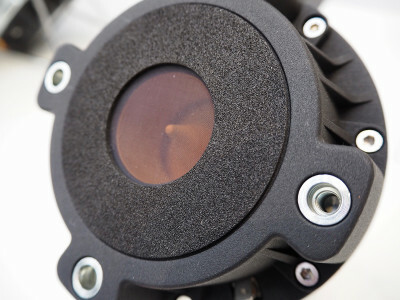 Featuring a detailed Røde Dynamic Capsule, internal pop shield, and integrated swing-mount, the microphone is a solid brass construction in hard-wearing matt black finish, that's built to last. 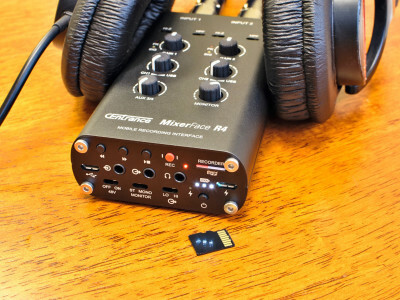 CEntrance announced the launch of MixerFace R4R, a new version of the acclaimed mobile recording interface that now comes with a built-in audio recorder. 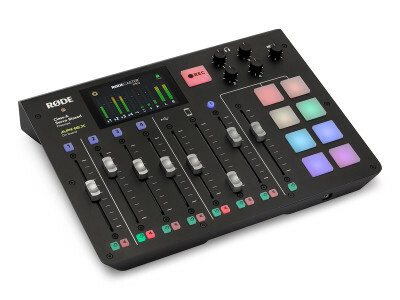 The new model retains all the features of its parent MixerFace R4, released in July 2018, but adds a built-in, "one-button record," stereo micro-SD card recorder for added in-the-field flexibility and extra recording redundancy. 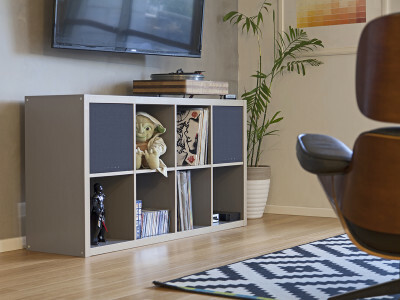 The new model is now shipping worldwide and costs $449.99 USD. 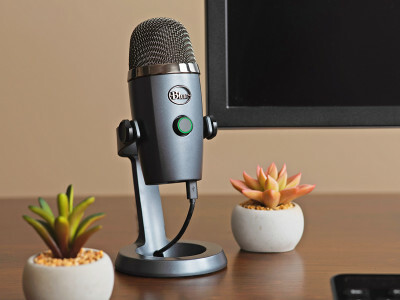 Fresh from the Logitech acquisition announcement, Blue announced a new model to its popular USB Microphone family, now expanded with a compact desktop version that helps today's broadcasters, podcasters and bloggers to easily record and stream with high-quality audio. 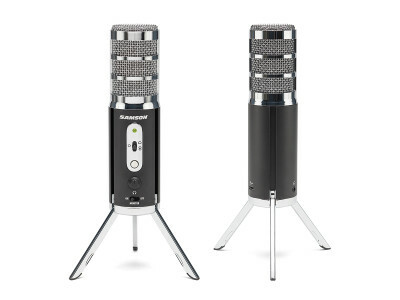 The new Blue Yeti Nano features two condenser microphone capsules and a 24-bit/48kHz audio interface buil-in with direct output for monitoring without latency. 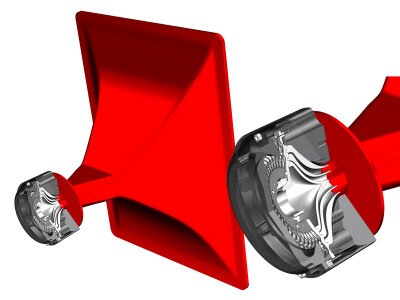 The microphone features selectable cardioid and omnidirectional pickup patterns and is optimized for voice. 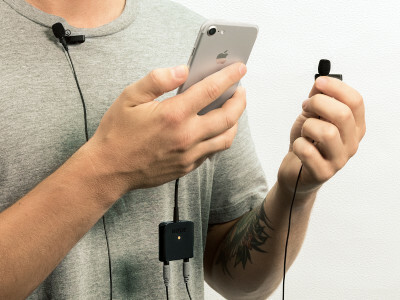 Australian pro audio giant RØDE Microphones launched the brand new SC6-L Mobile Interview Kit, the latest Lightning connected recording solution for Apple iOS Devices. While many brands, including RØDE, have offered external microphones to record in higher quality with the iPhone, and even launched lavalier microphones with clip-on accessories for interviews, the use of two simultaneous microphones still poses many challenges. The Røde SC6-L Mobile Interview Kit intends to solve that problem.